Rawwr! 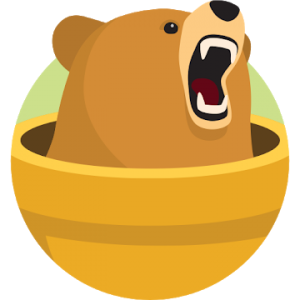 Indigenous to the Internet, TunnelBear VPN puts you in control of your web browsing! * TunnelBear gives you 500mb of “tunneling” each and every month. * Tunnel to 7 different countries including US, UK, Canada, Germany, Japan and France. TunnelBear is your Android’s digital companion on an increasingly fenced and monitored Internet! – Our Grizzly, Giant and Little Bears fell in love with calendars and decided they will refer to themselves as “Yearly”, “Monthly” and “Free” from now on. – Trusted Networks has been disabled for Bear owners on Android 8.1+ until we can get it working paw-perly. Notifications should behave normally again.